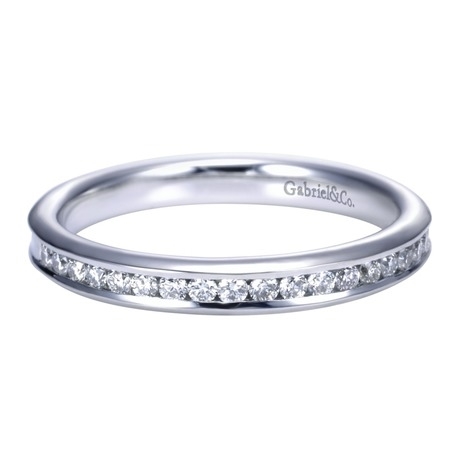 This smooth and sleek 14k white gold diamond wedding band features one quarter carats of channel set round diamonds, producing a shine that is only matched by the light in her eyes! 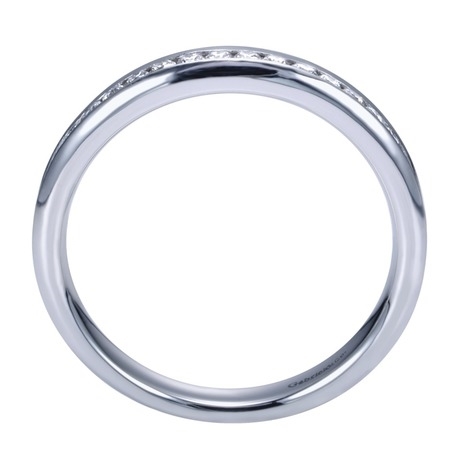 This clean 14k whute gold diamond wedding band holds its round diamonds in a white gold channel setting. 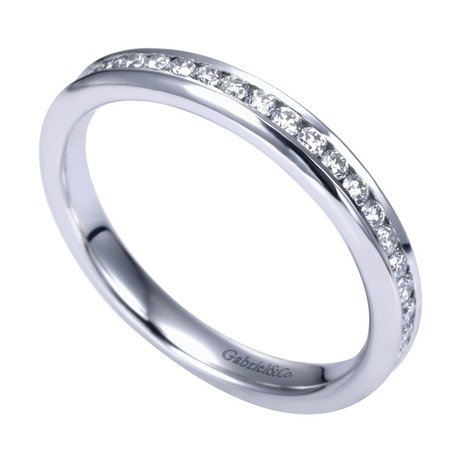 With one quarter carats of diamond radiance!